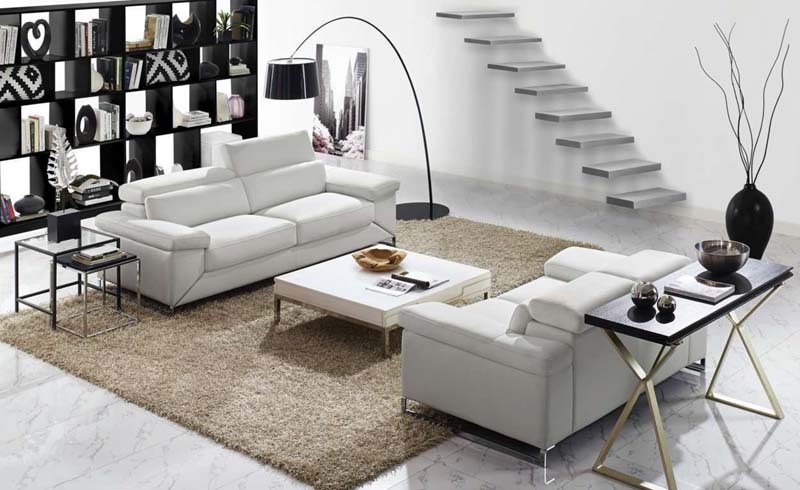 Purchasing a sofa is no small undertaking. As a large piece that sees a lot of action(and bears a hefty price tag) a couch is a major investment that requires careful consideration. Its size, function and style set the tone for a room, and ideally you'll want an option that balances both practicality and aesthetics. Armed with these simple tips, choosing the perfect sofa will be an effortless exercise. Before embarking on a shopping adventure, envision how you intend to use the space in question and the role your sofa will play. If you're in the market for a piece that can live up to your Netflix marathon needs, deep cushions that give you the space to curl up are key. Constantly playing host? Opt for a sophisticated, structured style that provides ample seating for your guests. When it comes to your couch, the Goldilocks rule applies. Oversized options can make a room feel cramped or heavy, while too-petite styles may not offer the practicality that you're after. To get an idea of how a sofa will feel in your space before you buy, create a paper template in the size of the couch you're considering and place it on the floor. You'll be able to get an idea of how it will interact with the other furnishings in the room, and test drive a few different styling options without all the heavy lifting. Once you have the specifics down, then comes the fun part: design. Start by asking yourself what styles you like (mid-century modern, eclectic, contemporary, minimalist) and use that as a jumping off point. Take style cues from the rest of your decor—if you want your couch to be the focal point of the room, try pairing bold upholstery with a classic silhouette. 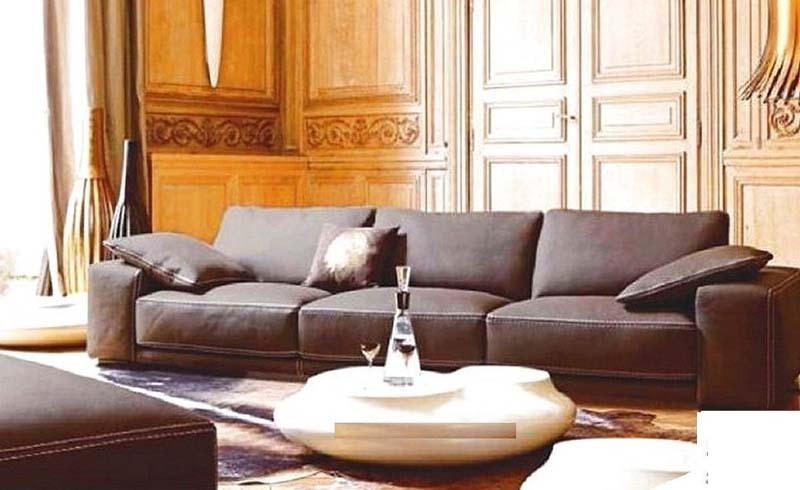 Alternatively, you can tone down a statement piece with a neutral fabric to make your sofa take on a supporting role. Another thing to consider: upholstery. Distressed leather is a great option if you have pets or kids but still want something that feels polished, while linen and suede are better suited for low-key households. Comfort is key, which is it's important to try before you buy. Soft, cushy seating invites people to kick back and relax, while firmer options can withstand a bit of wear and tear. Keep in mind that plush cushions might require frequent fluffing to maintain a polished look. Again, you'll want to consider the function of the couch—if napping is a top priority, ensure you have enough space to sprawl out and snuggle up.